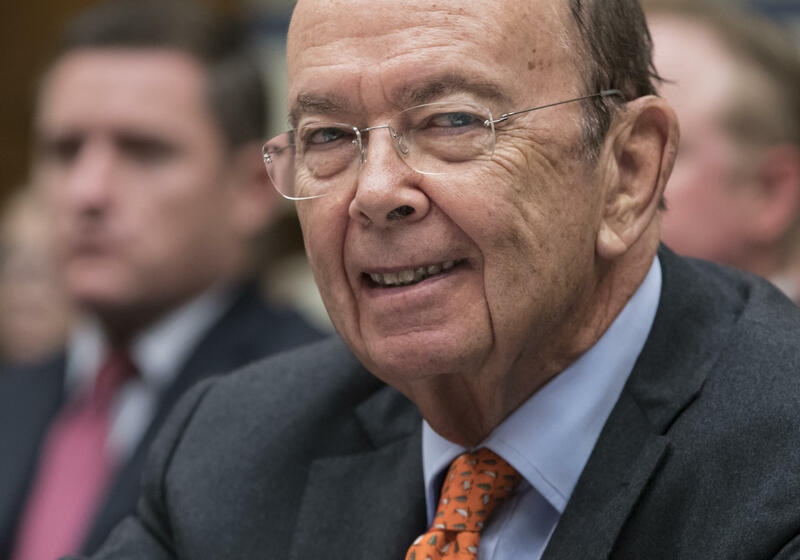 Commerce Secretary Wilbur Ross says that the Trump administration has reached a "definitive agreement" with Chinese telecom giant ZTE that Ross claims "imposes the most strict compliance that we've ever had on any company, American or foreign." In an interview on CNBC, Ross said penalties amounted to $1 billion and that ZTE agreed to install new management and a compliance team picked by the U.S. The agreement is controversial: ZTE had been sanctioned by the U.S. for doing business with North Korea and Iran. It was blocked from purchasing parts from U.S. companies, sanctions that had crippled the company. The Trump administration has walked a fine line, stressing that any ZTE deal is separate from ongoing trade negotiations with China. And that the punishment for ZTE's past actions is tough enough. "We are literally embedding a compliance department of our choosing into the company to monitor it going forward. They will pay for those people but the people will report to the new chairman," said Ross. He called the deal brokered a "strict settlement" and the "largest settlement fine that has ever been brought by the Commerce Department against any violator of export controls." Ross said the agreement will serve as a "very strong deterrent, not only for them, but for other potential bad actors." Should ZTE fail to comply with the deal, in addition to the $1 billion penalty, $400 million held in escrow will cover any future violations, including "sanctions or anything else," according to Ross. "We'd still retain the power to shut them them down again," he added. Ross also referenced the potential impact on U.S. companies that supply parts to ZTE. U.S. lawmakers have repeatedly warned the administration not to go easy on a company that brazenly violated U.S. sanctions against two rogue nations that were pursuing nuclear weapons production. Sen. Marco Rubio, R-Florida, tweeted about the deal Thursday morning, saying it will "do nothing to keep us safe from corporate & national security espionage." He said that Congress will need to act to keep America "safe from China" and that ZTE presents a "much greater national security threat than steel from Argentina or Europe," a reference to the president's new tariffs. Senate Minority Leader Chuck Schumer called the deal a "serious mistake," saying Mr. Trump "just shoots blanks" in his threats against China. "Trump, after talking tough, did a total reversal. Once again President XI [Jinping] has outfoxed President Trump," Schumer said on the Senate floor. "There's absolutely no good reason ZTE should get a second chance," he added, saying Mr. Trump has "inexplicably thrown them a lifeline." Sen. Mark Warner, vice chairman of the Senate Intelligence Committee, told CBSN that the deal was a "horrible decision" and is causing a "national security risk " to the country. "This president, who claims he's going to try fight for American jobs and American national security, the first push back he gets from the Chinese he buckles and gives in. Hitting ZTE with a fine or putting an additional compliance team in does not get rid of the backdoors built into this technology," said Warner. He added that a deal with ZTE "is not a trading chip in Mr. Trump's trade war." The U.S. accused ZTE of misleading American regulators over sanctions against North Korea and Iran. On Monday, the U.S. Commerce department claimed ZTE paid full bonuses to several of those involved, then lied about it. CNET reports ZTE may lose their right to license Google's Android operating system.